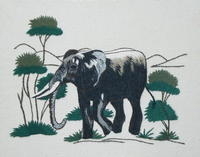 The widows and orphans in the handicraft centre make beautiful embroidered pictures of African scenes and animals. We have a limited stock of pictures and so any purchases may need to be made to order. The cost of the pictures range from £13 to £30 plus £2.00 for postage in the UK (they come without a frame to reduce the cost of delivery). Here are some of the more popular pictures. Dimensions: 23cm x 20cm approx. The cost of this item is £13.00 plus £2.00 UK postage and packing. Please note that we may need to add a surcharge (cost only) for overseas purchase which we will advise when your order is placed. 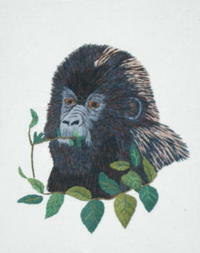 Unframed hand made picture produced in the handicraft centre. 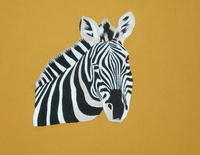 Dimensions: 44cm x 38cm approx. The cost of this item is £19.00 plus £2.00 UK postage and packing. The cost of this item is £19.00 plus £2.00UK postage and packing.